As human beings we spend about a third of our lives sleeping so it’s staggering to hear that in America alone there are a reported 70 million people affected by chronic sleep disorders. It’s also disparaging to learn that most sleep treatments which are available without a prescription are near enough useless without fully understanding what kind of sleep disorder is being experienced. The various pills and drugs which you can buy over the counter at a pharmacy are ineffective if you don’t know what’s wrong! The more specific you are about your sleep problem, the closer you are to solving it. The trouble is most of us don’t have sophisticated monitoring systems to tell us what is happening whilst we are sleeping, and for most people they are near enough unaware of what happens, but that is changing now with new devices which help us to better understand our sleep. 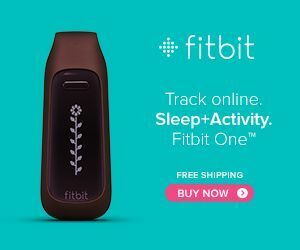 There are fitness trackers like Jawbone Up and Fitbit which you can wear whilst sleeping and it will track your sleep in a crude kind of manner by judging the amount and type of movement that is happening whilst you sleep. There are now more sophisticated system coming up such as the Withings Aura which is a bed sensor and room sensor which does not require the person to wear the device, it just works each time you go to sleep and it measures your movement via bed pressure, air temperature, heart rate and even room luminosity. I suspect in the next few years we are going to see big leaps in technology to help people get better sleep. So how else can you improve your sleep whilst you don’t have all these gadgets to help? Even if you did have these gadgets, it’s likely the reasons keeping you awake are residing in the depths of your mind. The mind is a powerful tool and scientists still haven’t decoded exactly how the mind and brain work together, so you can imagine how It can dramatically influence your sleep without you even knowing. If your mind is stressed, your mind is active and so it has a big effect on how well you can sleep. There are many scientific studies which show that the reduction of stress can have a big impact on your sleep quality. Activities such as meditation, reading, even light exercise can help reduce mental stress and therefore improve your sleep. Amongst all those activities, perhaps one which is often mentioned is journaling, or writing a diary. Clarity of thought and feeling – getting in touch with your internal world will help you achieve a better sense of self and balance and that will lead to a more restful sleep. Knowing yourself better – by understanding your deep truth, you’ll feel happier and more confidence overall in life and that will lead to you being able to get to sleep easier. Reducing stress – letting go of your daily troubles will help to promote a calmer attitude towards life in general and that will lead to longer periods of deep sleep. Resolving conflict internally – often our anger towards another human being is merely a reflection of something we are unhappy about in ourselves. By talking about those conflicts we are inadvertently performing self therapy and of course that means we improve our overall sleep experience. Once you get into the habit of recording a video diary you’ll find that it’s far easier than writing and it’s quicker and more effective. Think about how much you can actually write in 5 minutes versus how much you can say verbally. The results become exponentially better and as a result so will your sleep.